You like fishing on the Sea? this time KailBayu will share the best fishing spots in Indonesia, especially saltwater fishing spot. as we know, the ocean in Indonesia is a paradise for anglers. Indonesia has avast sea and almost all fishing techniques can be applied in the Indonesian sea, such as surfcasting, rockfishing, casting, jigging, trolling, popping and others. Here is the famous fishing spot in Indonesia, and you should try these. West Papua, already known as the paradise for the anglers, because here are the mullet of monster-sized fish. Among the many fishing spots in West Papua, the sea around the Biak island is the main destination of anglers. In addition to the large fish, the character of the sea around the Biak is calm and the waves are not high, it’s why many anglers around the world come to Biak Island. Who does not know Karimun Jawa? Karimun Jawa is popular as one of the best fishing spot in Indonesia as well as a tourist destination. So if have a trip to Karimunjawa Island, do not forget to bring your fishing tackle. You can use your ultralight fishing set here or catch a big fish like snapper, mackerel, tuna, and others. The Banda Sea is located in Maluku and it’s also the best fishing spot in Indonesia. The Banda Sea became the mullet of the monster-sized fish that is not landed. If you want a challenge you can visit this spot. The Banda Sea has up to 5000 meters deep, is certainly a potential spot that you should try. Also in the Banda Sea, there is a drop off zone, and a giant size of fish really like live in this zone. Bali is very famous for the beautiful beaches. Do you know if the sea around Bali Island is a nice fishing spot? Various fishing techniques can be applied here and there is a big deal of pelagic fish types. A lot of anglers, both local and foreign angler come to Bali for fishing. Let's move to the western part of Indonesia, Weh Island, Aceh. The sea around the Weh island has long been known as one of the best fishing spot as well as a diving spot in Indonesia. You can catch various types of fish in the sea around Weh Island, especially tuna and Grouper. It needs about one hour by boat to reach Weh Island. and there are already fishing packages which you can buy in Weh Island. Yogyakarta is famous for the culture and heritage. 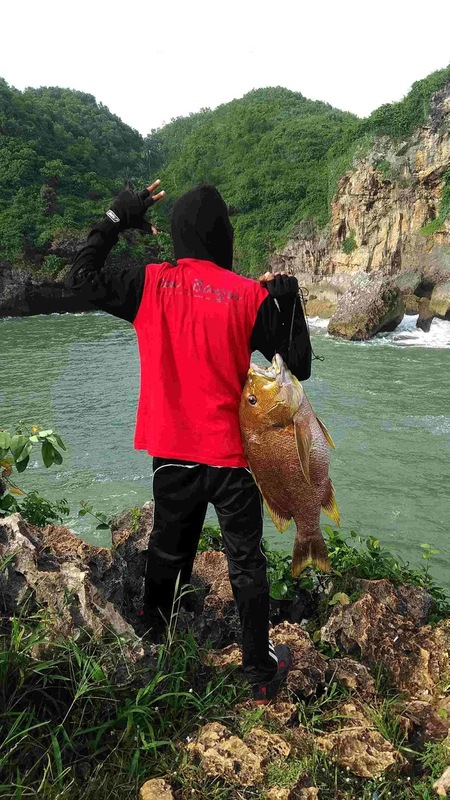 Do you know that Yogyakarta has so many nice shoreline fishing spots? 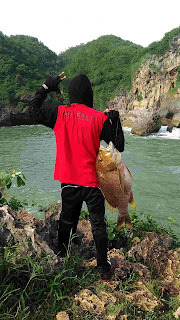 For you who are looking for an extream fishing spot, you should visit beaches at Gunung Kidul beaches. Gunung Kidul has nice white sand and rocky beaches. You can catch a giant fish either surf fishing or rock fishing. If you want to fish offshore, there are many boat rentals here with many different sizes of boat. Many captain ships are also an angler and experienced, they will accompany you to the best spot in here. 0 Response to "The Best Fishing Spots in Indonesia (Salt water)"